Dealing with acne prone skin can get pretty frustrating. It's always a battle, the constant trial and error for clear skin can get to the best of us. To top that, over the counter products lose effectiveness over time. What you need is an effective skincare routine that is tailored to acne prone skin. I've suffered from a recent bout of sudden acne and I can tell you that none of my dermatologist's recommendations worked on my skin. So I took it upon myself to make a skincare routine with products designed to clear clogged pores and speed up the recovery of blemishes while hydrating my skin. This is what helped! 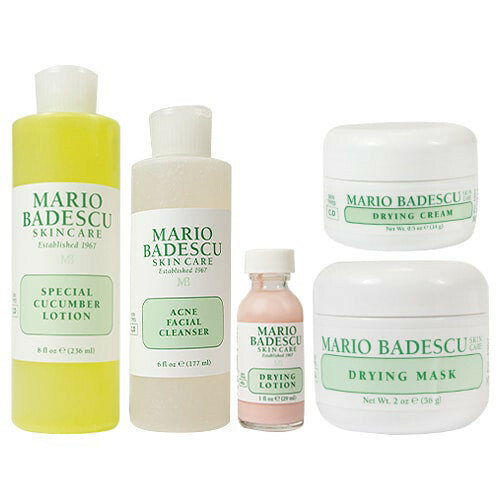 The Mario Badescu - Acne Control Kit has a cleanser, toner, face mask, and two lotions for drying active acne. Cleansing your skin is essential especially when you have problematic skin. The Acne Facial Cleanser has salicylic acid and hyaluronic acid to exfoliate and get rid of clogged pores. It helps speed up the healing of active acne and prevents new acne from forming. Toning is an additional step in your skincare routine that you should befriend if you want to ensure that your pores are clean. A good toner will help cleanse your skin, remove excess oil, control blackheads and whiteheads and hydrate your skin while it cleanses. The Special Cucumber Lotion has cucumber extracts to calm, cleanse and hydrate your skin. If you are suffering from a bad breakout, you may find it beneficial to put on a face mask that will help dry out your acne and calm your skin. The Drying Mask has calamine and sulfur to cool and heal acne. If you have a pimple here and there, the Drying Cream and the Drying Lotion are great overnight spot treatments. It may not seem like your oily, acne prone skin needs to be moisturised, but let me tell you that it does! Acne medications tend to dry out your skin, use a lightweight, fragrance-free moisturiser to keep your skin's pH balance in check. 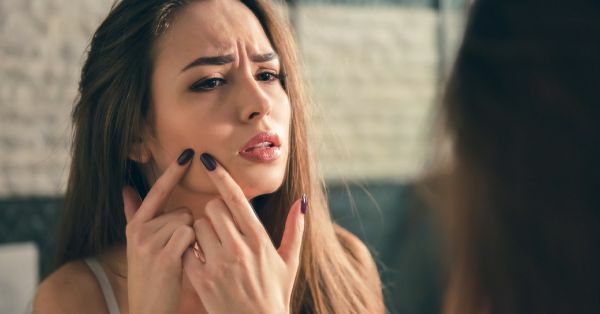 Whenever you begin a new routine for acne prone skin, stick to it for at least 3-4 weeks before deciding that it's not working for you. Sometimes products take longer to show results on your skin.